Green:This is a fake phenotypc because there is no green gene. Wild angelfish from Guyana sometimes have a tint of green or blue on the head, but so far there has never been a green angel based on a mutant gene. Green angels in the trade are ordinary angelfish treated by unscrupulous producers with methyl testosterone, a synthetic male hormone added to the water to enhance colors. Unless the drug is continually added to the water or the diet, the green color fades. These fish may be reproductively damaged, resulting in fewer and weaker fry than normal fish. The green color is not genetic, not passed to the offspring, and not permanent. Reduced pattern: Angelfish raised with 12 to 14 hours of light alternating with a period of darkness develop normal stripes. Wild-type angelfish raised in continuous light do not develop stripes. Zebra angelfish raised in continuous light develop black spots, but not stripes. Black lace angelfish raised in continuous light are dusky, but without stripes. 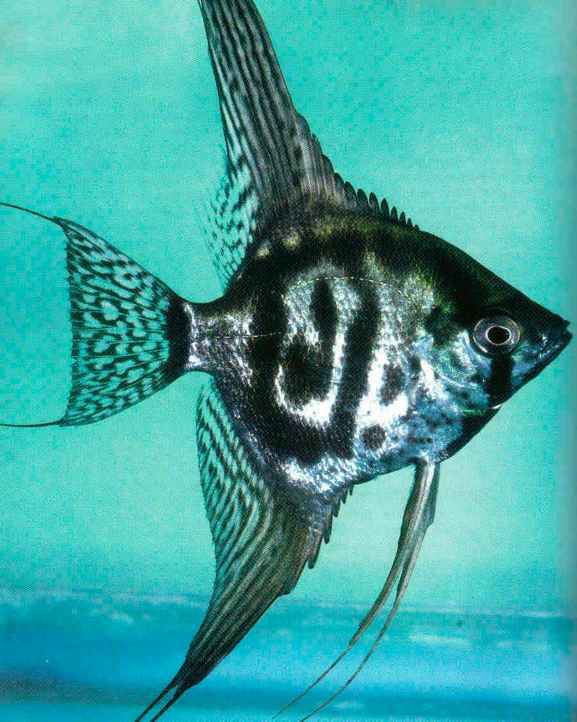 Solid black angelfish raised in continuous light also fail to develop stripes, resulting in a velvety black (and attractive) fish. Stripeless angelfish raised in continuous light may not show the oval blotch (a reduced stripe). These effects are induced only in early stage angelfish raised under these conditions, and the effects are not reversible. This effect is developmental, and not inherited. Marble angelfish (at least some types) and smokey angelfish do not show effects from being raised under continuous light. 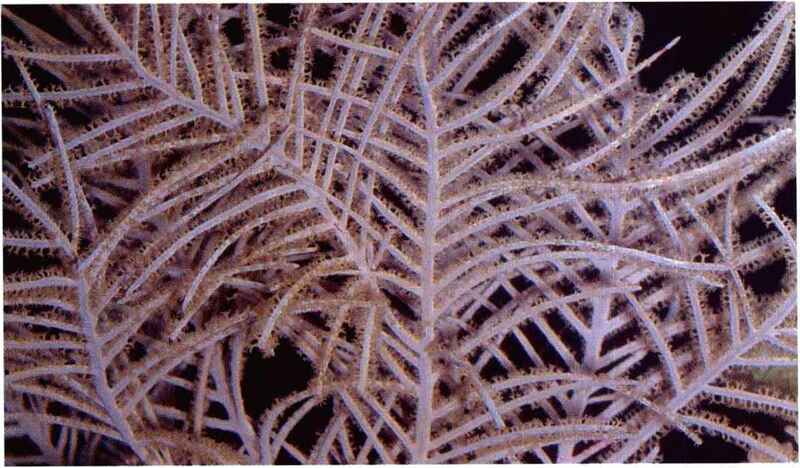 Presumably only stripes are susceptible to alteration, but not other manifestations of melanin pigmentation. Wild angelfish imported from at least Guyana and Peru (and probably elsewhere) vary in stripe density, some with strong striping and some silver and stripeless. It was long thought that placing silver fish on a dark background would bring out the stripes that were faded by a bright background. That is not true. The silvery or stripeless fish never develop stripes. Is there a relationship between the light effect in captive fish and variation in wild fish? Perhaps stripeless or silver wild fish were spawned in the open during the long days of summer, while normal striped fish were spawned in cooler months and/or in densely shaded nesting sites.